Home » Blog » Our Crafty Fox: What makes Local Fox a Craft Cider? Our Crafty Fox: What makes Local Fox a Craft Cider? 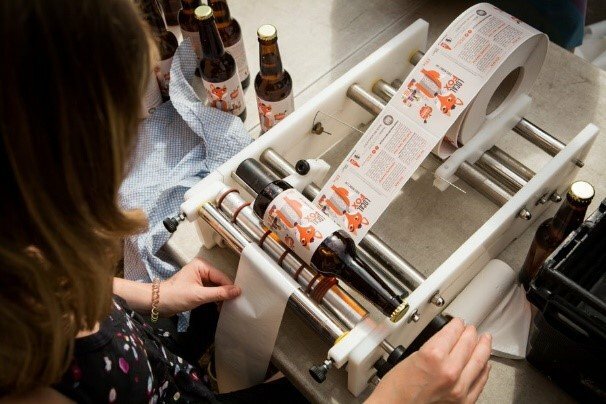 We’ve all seen the word ‘craft’ on cider and ale labels, but what does it really mean? Here’s our chief cider maker, Rosa Fletcher, to unpick the conundrum and explain why our own Local Fox is really quite a unique, ‘craft-y’ character! Want to try Local Fox for yourself? You can get free bottles to enjoy when you support our Crowdfund campaign to keep the project open. Help save traditional cider making in London. 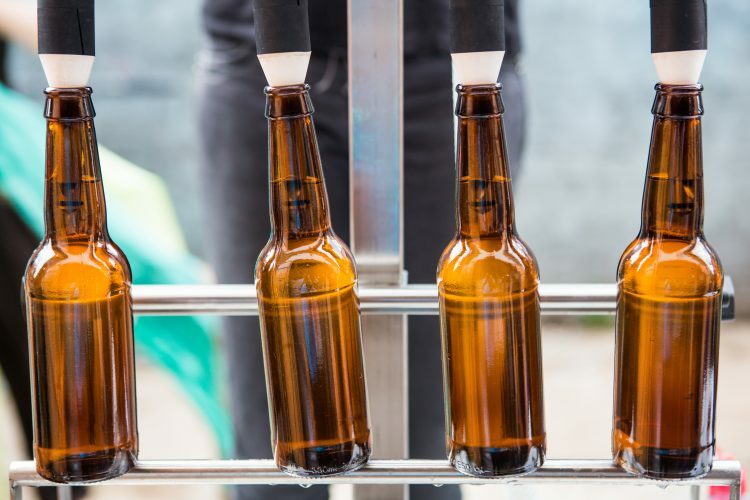 When it comes to cider, ‘craft’ means different things for different producers, so unfortunately there is no simple answer. Some use the term to refer to the source of apples, or the skills and knowledge of the cider maker, and for others it denotes the scale of production. For us at The Orchard Project, making craft cider means using traditional pressing methods and wild yeasts, as well as celebrating the difference in each year’s vintage. We also feel that involving and engaging large groups of volunteer orchardists in the process makes its ingredients even more qualifying of the term. 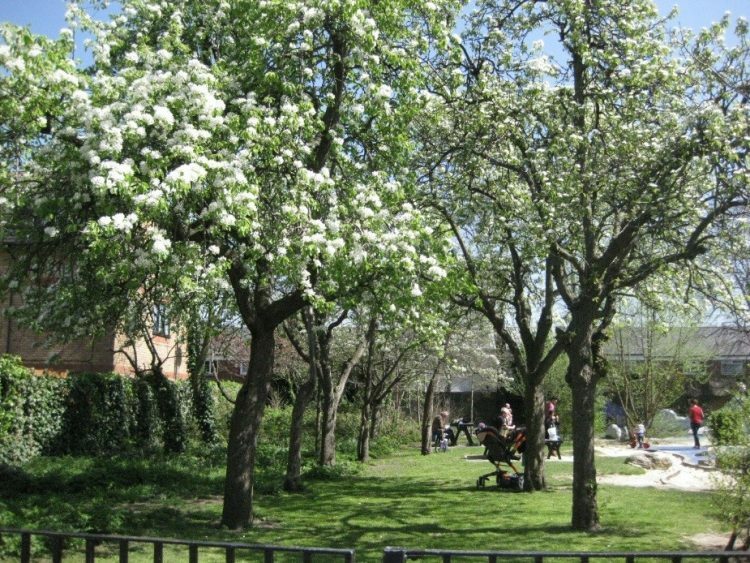 Our Local Fox cider starts out as a mere moment of pollination on a fruit tree, usually cared for by friends, families, neighbours and passers-by at community orchards and gardens across London. After the fruit has developed and ripened, many will eat, juice and cook, enjoying it straight from the trees. The excess is harvested, sometimes with our help, and then brought to our Community Cider Hub where it joins our unique blend of apples from across the capital. Each year we create a different vintage, with different qualities depending on the quantities and varieties of fruit we receive. The flavours are influenced by the amount of sunshine and rain, while the wild yeasts that are on the apple skins will be unique each season. This difference is something we celebrate; we try to capture the taste of the season in a drink. 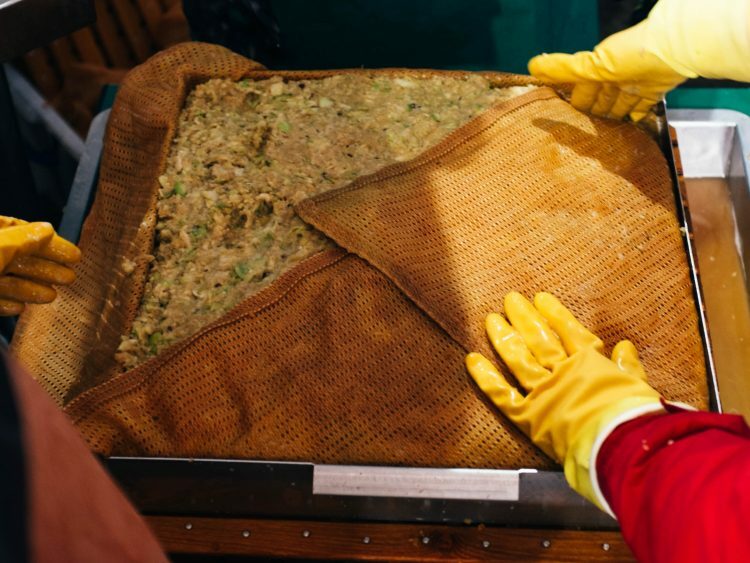 We use a traditional rack and cloth press for our cider, preserving a technique that has been used for hundreds of years. But our press uses hydraulics instead of muscle power to get as much juice from the fruit and minimise wastage. 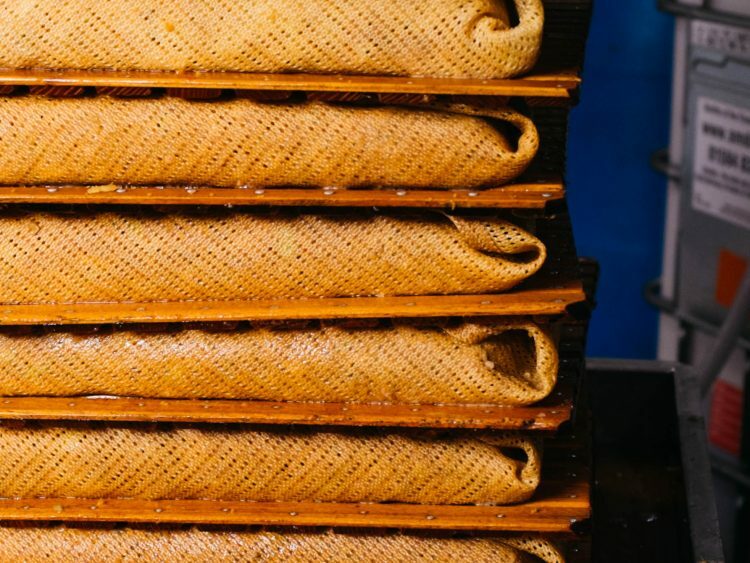 We teach everyone who volunteers their time to us how to build, fill and fold each ‘cheese’ (a layer of pulp which is loaded between racks), creating a stack of roughly 80kg of pulp and producing around 50 litres of juice. Taking the time to teach the process and share these skills with people who are learning how to make cider for the first time is one of the most rewarding parts of a pressing day for me. As the juice starts to trickle out, merely from the pressure of stacked cheeses, it’s a great opportunity to taste the freshly pressed apple juice. With a sharp and sweet taste, it is unlike any juice you can buy in shops. Once pressed, we pump the fresh juice to our fermentation tank adding a small amount of sulphites and relying on the wild yeasts on the apple skin. We leave this to ferment slowly over winter, racking when fermentation has slowed. We then bottle this by hand as 100% juice, adding a small amount of sugar to bottle condition the product. This helps to mature the flavours further. After this, we label by hand, ready for our Local Fox to hit the shops and market stalls as a truly handmade product. 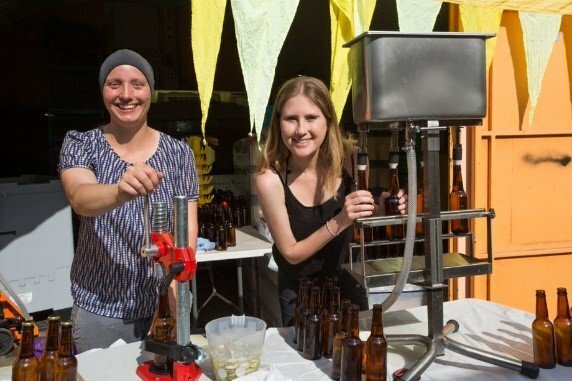 Along each step of the way, we have had help from over 700 volunteers and supporters who have joined us in handcrafting our cider. Whether that has been to help harvest and transport the apples from orchard to cider hub, to sort, wash, mill and press apples at a pressing day, or to bottle, cap and label our cider ready to be shared. For us at The Orchard Project, this sums up the meaning of ‘craft’, which is the time and effort and hands on decks that people have shared with us to make this possible. Enjoyed this article? Want to help Rosa to keep brewing? You can get free bottles to enjoy when you support our Crowdfund campaign to keep the project open. Help save traditional cider making in London.